Last summer Everton Football Club via the persona of Roberto Martinez just said no as regards Chelsea’s obsessive financial pursuit of John Stones, indeed upon the youngster finally being brow-beaten by his representatives and submitting an, albeit late written transfer request our Manager simply tore it up, reminded the player that he had recently signed a 5 year contract and that he would be in the team for the upcoming fixture at his Alma Mater Barnsley, which is precisely what has happened. Since that point not only have we defeated the Londoners 3-0 with Stones at Centre Half in our next game but they have gone on not only dip but to nose-dive as regards domestic form. Yesterday they were beaten at home by Bournemouth, the first time a promoted club has won at Stamford Bridge since 2000 and it is my hypothesis that should John Stones have made the transfer- replete with large fee he would now be singularly burdened with culpability as to why a side so impregnable last season can appear so chronically poor this campaign and how a defence, the foundation of Mourinho’s teams can seem almost pedestrian, moreover in his defiance Roberto may have done Stonesy the biggest favour of his as yet adolescent career and the EPL generally a service that may resonate for years to come. Premier League Football is now akin to all things within the Capitalist economy, if you have not got financial wherewithall you will ultimately be bullied by those whom do and the relative transfer sagas of both John Stones as well as Rahe*m Sterl*ng in summer 2015 illustrate this point, however dollars do not a career make, ask Jack Rodwell. No, development needs to be nurtured, grown organically not force-manufactured in some EPL cash-rich incubator where as many (previously feted) babies are jettisoned as ultimately worthless as make the grade. As for Chelsea F.C. in this matter it would appear that Footballing Karma is paying a serendipitous visit. Despite being cited to the Premier League for their continued pursuit and with the newly returned Jose and Abramovich’s Oligarch riches allied to being reigning English Champions they honestly believed it was a forgone conclusion, after all logic (they meant money) would tell you he HAD to move. Well let’s just examine C.F.C’s 2015-16 campaign to date; more defeats in a season since pre-The Russian, more home defeats than under Villas-Boas (and certainly the hated Benit*z) and a defence not only containing one of the most reprehensible English Footballers ever but one now leaking all kinds of goals virtually every week. It is a fall from domestic grace (at least at present) akin to Blackburn Rovers ill-fated title defence in 1995-96 and should Stonesy have gone there this would now not be Jose’s fault, nor John Terry’s nor the over-rated Cahill’s, it would be that of the £50-£60M young Toffee. That would have been where it had all gone wrong. It was too early. He was overrated. He needed another 2 seasons at Goodison… These and other retrospective insights would now be being put about by the clueless divs whom pertain to spout science to yous as regards contemporary English Football. Jounalists per se- it was every paper, Sk* MF TV, and I retain a special mention for TalkSport’s Alan Bernard Brazil, he of the Glasgow upbringing whom now lunches with Merchant Bankers and whom bolstered his aura of working class legitimacy by suggesting the young Tyke go on strike (see WTF I just did there btw Lad ??? ^^^). Others, Terry himself and Cahill, whom it would appear be better served retaining both his own place in both the Chelsea and England first teams instead of acting as Jose’s Social Media Secretary. It was an orchestrated campaign and this is the operative point of the piece, these sharks have not gone away and they will return only this time events seem to be supporting the stance of Everton F.C. 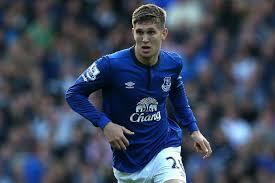 and Roberto Martinez in particular as while Chelsea have plummeted both ourselves and Stones the player have prospered. Should we not have conceded a last minute equaliser at Bournemouth last week we would be above the RS on goal difference and on the periphery of the top 4 and in a Capital One Cup (League Cup) semi final for only the fifth time in our history. Chelsea’s attempted grooming of John Stones was the Football equivalent of them saying, “Why, you have a beautiful daughter.” And us replying, “Thank you, we love her very much.” Them, “How much do you want for her?? ?” While we, as all Father’s know that our daughters are, in this instance undoubtedly ultimately destined for the Champions League, and will likely run off with some rich gobshite eventually this does not make us want to protect her any less, indeed if anything it makes our ardour even greater. 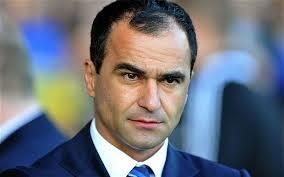 So this week, next week when you wax lyrical about how wonderful John Stones is spare a thought for Roberto Martinez, the man whom finally, thankfully said out loud that Greed was not, after all Good and in doing so not only helped him dodge the bullet-of-blame but may have saved from premature and inadvertent disaster, the career of the closest thing to Bobby Moore that I personally have ever seen and a future England Captain. Previous PostBook Review; The Holy Trinity and Beyond by Phil Thomson.